Daniel Spurr (1999). Heart of glass: fiberglass boats and the men who made them. International Marine/ McGraw-Hill. pp. 244–250. ISBN 978-0-07-157983-4. 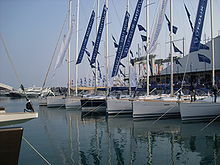 Wikimedia Commons has media related to Dufour Yachts.